"Baobab" redirects here. For other uses, see Baobab (disambiguation). For the most common use of "Baobab", see Adansonia digitata. "Upside-down tree" redirects here. For the famous European beech tree in Hyde Park, London, see Fagus sylvatica § Cultivation. 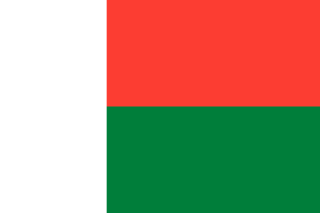 Madagascar, officially the Republic of Madagascar, and previously known as the Malagasy Republic, is an island country in the Indian Ocean, approximately 400 kilometres off the coast of East Africa. The nation comprises the island of Madagascar and numerous smaller peripheral islands. Following the prehistoric breakup of the supercontinent Gondwana, Madagascar split from the Indian subcontinent around 88 million years ago, allowing native plants and animals to evolve in relative isolation. Consequently, Madagascar is a biodiversity hotspot; over 90% of its wildlife is found nowhere else on Earth. The island's diverse ecosystems and unique wildlife are threatened by the encroachment of the rapidly growing human population and other environmental threats. The 21st (twenty-first) century is the current century of the Anno Domini era or Common Era, in accordance with the Gregorian calendar. It began on January 1, 2001, and will end on December 31, 2100. It is the first century of the 3rd millennium. It is distinct from the century known as the 2000s which began on January 1, 2000 and will end on December 31, 2099. Glencoe Baobab is the stoutest and second largest baobab in South Africa, and possibly the stoutest tree in the world. The tree is located in Glencoe Farm, near Hoedspruit, Limpopo Province and had a trunk diameter of 15.9 m (52 ft). Radiocarbon dating is a method for determining the age of an object containing organic material by using the properties of radiocarbon, a radioactive isotope of carbon. Namibia, officially the Republic of Namibia, is a country in southern Africa. Its western border is the Atlantic Ocean; it shares land borders with Zambia and Angola to the north, Botswana to the east and South Africa to the south and east. 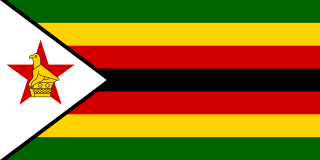 Although it does not border Zimbabwe, less than 200 metres of the Zambezi River separates the two countries. 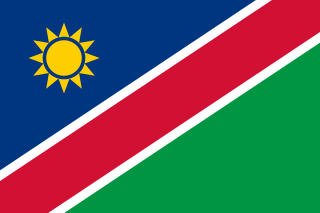 Namibia gained independence from South Africa on 21 March 1990, following the Namibian War of Independence. Its capital and largest city is Windhoek, and it is a member state of the United Nations (UN), the Southern African Development Community (SADC), the African Union (AU), and the Commonwealth of Nations. Cape Verde or Cabo Verde, officially the Republic of Cabo Verde, is an island country spanning an archipelago of 10 volcanic islands in the central Atlantic Ocean. It forms part of the Macaronesia ecoregion, along with the Azores, Canary Islands, Madeira, and the Savage Isles. In ancient times these islands were referred to as "the Islands of the Blessed" or the "Fortunate Isles". 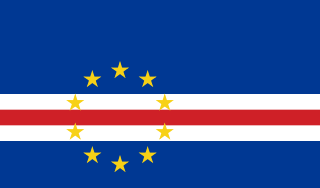 Located 570 kilometres (350 mi) west of the Cape Verde Peninsula off the coast of Northwest Africa, the islands cover a combined area of slightly over 4,000 square kilometres (1,500 sq mi). Oceanic dispersal is a type of biological dispersal that occurs when terrestrial organisms transfer from one land mass to another by way of a sea crossing. Often this occurs via large rafts of floating vegetation such as are sometimes seen floating down major rivers in the tropics and washing out to sea, occasionally with animals trapped on them. Dispersal via such a raft is sometimes referred to as a rafting event. Adansonia digitata, the baobab, is the most widespread tree species of the genus Adansonia, the baobabs, and is native to the African continent. The long-lived pachycauls are typically found in dry, hot savannahs of sub-Saharan Africa, where they dominate the landscape, and reveal the presence of a watercourse from afar. Their growth rate is determined by ground water or rainfall, and their maximum age, which is subject to much conjecture, seems to be in the order of 1,500 years. They have traditionally been valued as sources of food, water, health remedies or places of shelter and are steeped in legend and superstition. European explorers of old were inclined to carve their names on baobabs, and many are defaced by modern graffiti. In Angola, the dry fruit is usually boiled and the broth is used for juices or as the base for a type of ice cream known as gelado de múcua. Tamarind is a leguminous tree in the family Fabaceae indigenous to tropical Africa. The genus Tamarindus is a monotypic taxon. 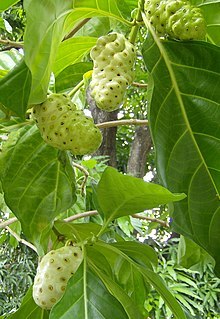 Morinda citrifolia is a fruit-bearing tree in the coffee family, Rubiaceae. Its native range extends across Southeast Asia and Australasia, and the species is now cultivated throughout the tropics and widely naturalized. Among some 100 names for the fruit across different regions are the more common English names of great morinda, Indian mulberry, noni, beach mulberry, and cheese fruit. Adansonia gregorii, commonly known as the boab, is a tree in the family Malvaceae. As with other baobabs, it is easily recognised by the swollen base of its trunk, which forms a massive caudex, giving the tree a bottle-like appearance. Endemic to Australia, boab occurs in the Kimberley region of Western Australia, and east into the Northern Territory. It is the only baobab to occur in Australia, the others being native to Madagascar and mainland Africa and the Arabian Peninsula . Boab ranges from 5 to 15 metres in height, usually between 9 and 12 metres, with a broad bottle-shaped trunk. Its trunk base may be extremely large; trunks with a diameter of over five metres have been recorded. A. gregorii is deciduous, losing its leaves during the dry winter period and producing new leaves and large white flowers between December and May. Adenia is a genus of flowering plants in the passionflower family, Passifloraceae. It is distributed in the Old World tropics and subtropics. 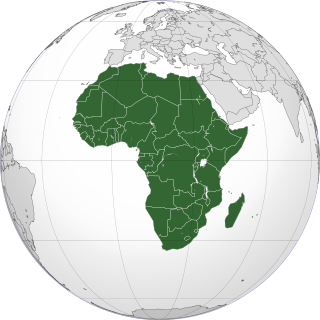 The centers of diversity are in Madagascar, eastern and western tropical Africa, and Southeast Asia. The genus name Adenia comes from "aden", reported as the Arabic name for the plant by Peter Forsskål, the author of the genus. Irvingia gabonensis is a species of African trees in the genus Irvingia, sometimes known by the common names wild mango, African mango, bush mango, dika or ogbono. They bear edible mango-like fruits, and are especially valued for their fat- and protein-rich nuts. Adansonia rubrostipa, commonly known as fony baobab, is one of the nine species of baobab identified to date, and one of the six indigenous to Madagascar, within the family Malvaceae. This tree is endemic to western Madagascar and occurs in the Madagascar dry deciduous forests. Adansonia grandidieri, sometimes known as Grandidier's baobab, is the biggest and most famous of Madagascar's six species of baobabs. This imposing and unusual tree is endemic to the island of Madagascar, where it is an endangered species threatened by the encroachment of agricultural land. Adansonia suarezensis, the Suarez baobab, is an endangered species of Adansonia endemic to Madagascar. Adansonia za, is a species of baobab in the genus Adansonia belonging to the family Bombacaceae. It was originally named in French as anadzahé. Common names in Malagasy include bojy, boringy, bozy, bozybe, ringy, and za, the last of which gives the plant its specific epithet. The Madagascan fruit bat is a species of bat in the family Pteropodidae. It is endemic to Madagascar and is listed as "Vulnerable" by the IUCN because it is hunted as bushmeat. The Avenue of the Baobabs, or Alley of the Baobabs, is a prominent group of Grandidier's baobabs lining the dirt road between Morondava and Belon'i Tsiribihina in the Menabe region of western Madagascar. Its striking landscape draws travelers from around the world, making it one of the most visited locations in the region. It has been a center of local conservation efforts, and was granted temporary protected status in July 2007 by the Ministry of Environment, Water and Forests—a step towards making it Madagascar's first natural monument. Andranomena Special Reserve is a wildlife reserve in Menabe Region, western Madagascar, near the city of Morondava and the rural commune of Bemanonga. Kirindy Forest or Kirindy Private Reserve is a private park situated in the western Madagascar, 50 km northeast of the town of Morondava. Aldabrachelys grandidieri, or Grandidier's giant tortoise, is an extinct species of tortoise that was endemic to Madagascar. Mitochondrial DNA extracted from subfossil bone confirm that it is a distinct species. Adansonia kilima, also known as Adansonia digitata, is a species of baobab tree native to Africa, inaccurately described as a new species in 2012. As with other baobabs, it is easily recognised by the swollen base of its trunk, which forms a massive caudex, giving the tree a bottle-like appearance. It is also known by the name Adansonia digitata. Adansonia kilima is found in upland populations of southern and Eastern Africa. It has the same geographic range as A. digitata, is tetraploid, and therefore presumably the same species as the tetraploid A. digitata. The Madagascar succulent woodlands are a xeric shrublands ecoregion in southwestern and central western Madagascar. They are threatened by various human activities. ↑ "Genus: Adansonia L." Germplasm Resources Information Network. United State Department of Agriculture. 12 November 2008. Archived from the original on 30 May 2010. Retrieved 14 January 2011. ↑ Eggli, U.; Newton, L.E. (2004). Etymological Dictionary of Succulent Plant Names. Springer Berlin Heidelberg. 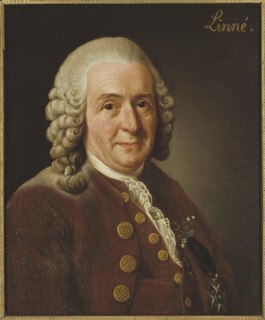 p. 3. ISBN 978-3-540-00489-9 . Retrieved 2018-09-25. 1 2 3 Ed Yong (11 June 2018). "Trees That Have Lived for Millennia Are Suddenly Dying The oldest baobabs are collapsing, and there's only one likely explanation". The Atlantic. Retrieved 2018-06-12. 1 2 Rachel Nuwer (12 June 2018). "Last March of the 'Wooden Elephants': Africa's Ancient Baobabs Are Dying". New York Times. Retrieved 2018-06-13. ↑ "Big Baobab Facts". Archived from the original on 2008-01-06. Retrieved 2008-01-08. 1 2 Patrut, A., et al. (2010). Fire history of a giant African baobab evinced by radiocarbon dating. Radiocarbon 52(2), 717-26. 1 2 3 "Adansonia digitata (baobab)". Royal Botanic Gardens, Kew. Archived from the original on 20 February 2014. Retrieved 8 June 2014. ↑ Wickens, G. E.; Lowe, P. (2008). The Baobabs: Pachycauls of Africa, Madagascar and Australia. Berlin, Germany; New York, NY: Springer Verlag. ISBN 978-1-4020-6430-2. OCLC 166358049. 1 2 Pettigrew, J. D.; et al. (2012). "Morphology, ploidy and molecular phylogenetics reveal a new diploid species from Africa in the baobab genus Adansonia (Malvaceae: Bombacoideae)" (PDF). Taxon. 61 (6): 1240–1250. doi:10.1002/tax.616006. ↑ "GRIN Species Records of Adansonia". Germplasm Resources Information Network. United State Department of Agriculture. Archived from the original on 24 September 2015. Retrieved 14 January 2011. ↑ Gardner, Simon; Sidisunthorn, Pindar; Lai, Ee May (2011). Heritage Trees of Penang. Penang: Areca Books. ISBN 978-9-675-71906-6. ↑ "The Baobab tree in Senegal". Archived from the original on 4 October 2008. Retrieved 1 October 2008. ↑ "Species text in The Atlas of Southern African Birds" (PDF). Retrieved 2014-10-30. ↑ "Weavers breeding in baobabs". Animal Demography Unit, Department of Biological Sciences, University of Cape Town, South Africa. Retrieved 2014-10-30. ↑ "Adansonia gregorii". Australian Tropical Rainforest Plants. Retrieved 2014-06-08. 1 2 3 UK Advisory Committee on Novel Foods and Processes (July 2008). "Baobab dried fruit pulp. EC No. 72; August 2006: Application from PhytoTrade Africa to approve baobab dried fruit pulp as a novel food ingredient. Authorised July 2008". UK Food Standards Agency. Retrieved 2012-06-03. ↑ "Baobab: Benefits, nutrition, dietary tips, and risks". Medical News Today. Retrieved 2018-06-20. ↑ Osman, M. A. (2004). "Chemical and nutrient analysis of baobab (Adansonia digitata) fruit and seed protein solubility". Plant Foods Hum Nutr. 59 (1): 29–33. CiteSeerX 10.1.1.587.6400 . doi:10.1007/s11130-004-0034-1. PMID 15675149. ↑ Chadare, F. J.; et al. (2009). "Baobab food products: a review on their composition and nutritional value". Crit Rev Food Sci Nutr. 49 (3): 254–74. doi:10.1080/10408390701856330. PMID 19093269. ↑ "South African villagers tap into trend for 'superfood' baobab". AFP. 24 September 2018. Retrieved 29 September 2018. ↑ "Baobab dried fruit pulp". UK Food Standards Agency. 2008. Retrieved 2012-06-03. ↑ "GRAS Notice No. GRN 273". 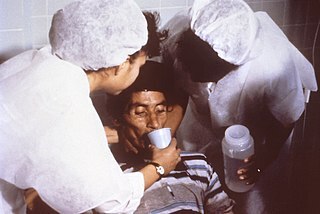 US Food and Drug Administration. 25 July 2009. Retrieved 2018-05-03. 1 2 Ambrose-Oji, B. and N. Mughogho. 2007. Adansonia grandidieri Baill. Archived 7 April 2014 at the Wayback Machine In: van der Vossen, H. A. M. and G. S. Mkamilo (Eds). PROTA 14: Vegetable oils/Oléagineux. PROTA, Wageningen, Netherlands. 1 2 Ambrose-Oji, B. and N. Mughogho. 2007. Adansonia za Baill. Archived 2 April 2015 at the Wayback Machine In: van der Vossen, H. A. M. and G. S. (Eds). PROTA 14: Vegetable oils/Oléagineux. PROTA, Wageningen, Netherlands. ↑ Sidibe, M., et al. Baobab, Adansonia digitata L. Volume 4 of Fruits for the Future. International Centre for Underutilised Crops, 2002. ↑ "Dance of the baob". The Australian Women's Weekly . National Library of Australia. 2 February 1966. p. 26. Retrieved 2012-01-11. ↑ Vermaak, Ilze; Kamatou, Guy; Komane-Mofokeng, B.; Alvaro, Viljoen; Beckett, Katie (2011). "African seed oils of commercial importance — Cosmetic applications" (PDF). 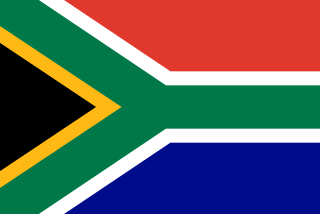 South African Journal of Botany. 77 (4): 920–933. doi:10.1016/j.sajb.2011.07.003 . Retrieved 21 January 2019. Wikimedia Commons has media related to Adansonia . Wikisource has the text of the 1911 Encyclopædia Britannica article Baobab .